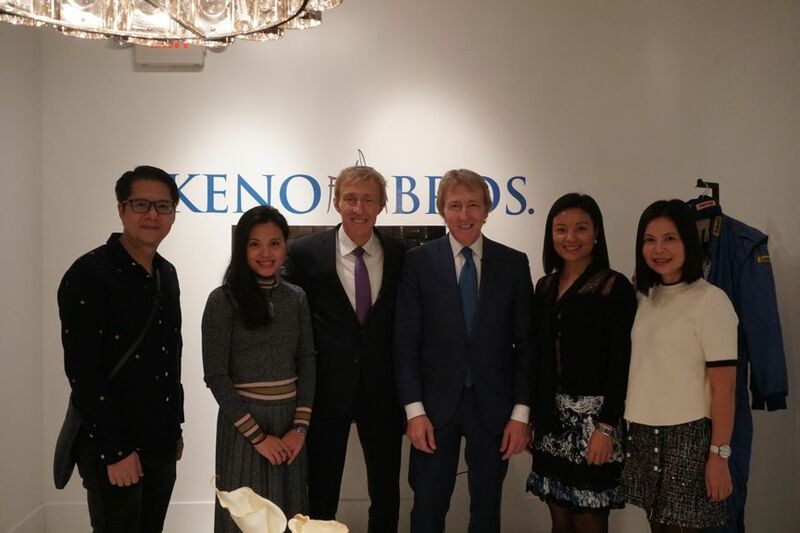 After conquering the world of antiques, the Keno brothers are transitioning to “designing together conceptually” with their Theodore Alexander line of furniture. 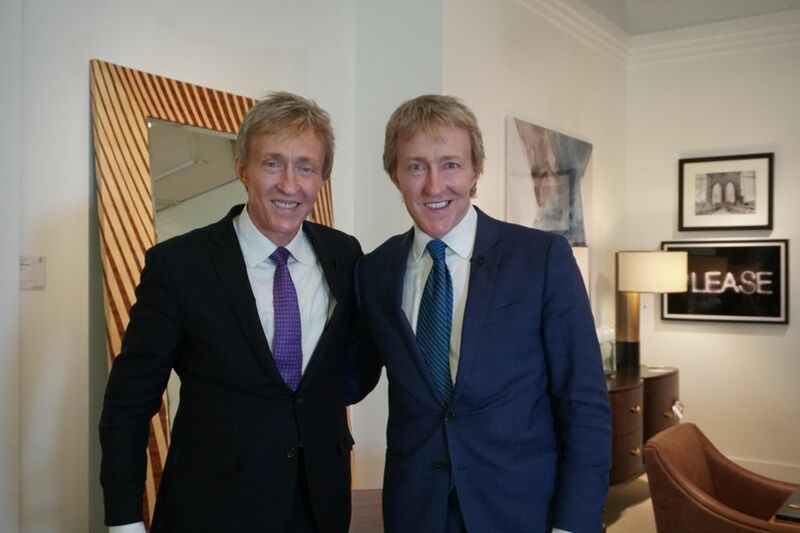 Leigh and Leslie Keno, two of the most respected antique experts out there, just so happen to be twins with very similar interests. Together, armed with decades of knowledge and industry experience under their belts, they’ve embarked on another venture: furniture design. But before the Keno brothers started the Keno Bros. line with Theodore Alexander, they played a much different role as editors of “Traditional Home” magazine. Alongside their journalistic responsibilities, Leigh and Leslie were also frequently featured on “Antiques Roadshow” where they appraised antique furniture and décor. 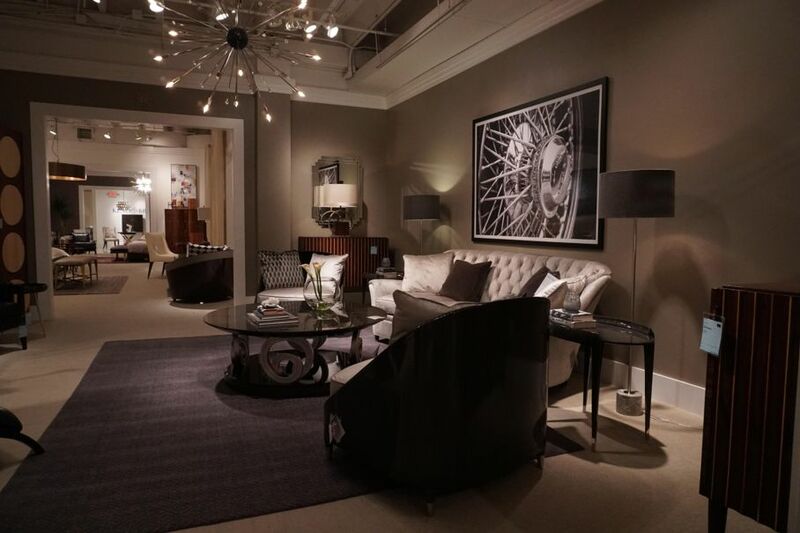 We chatted with the brothers themselves at the Fall 2017 High Point Market where they were promoting a slew of new furnishing in their Theodore Alexander collection. You’re going to love the video of this hilarious interview. Here’s a quick rundown of our conversation. Trust me, you’ll get a kick out of these guys! 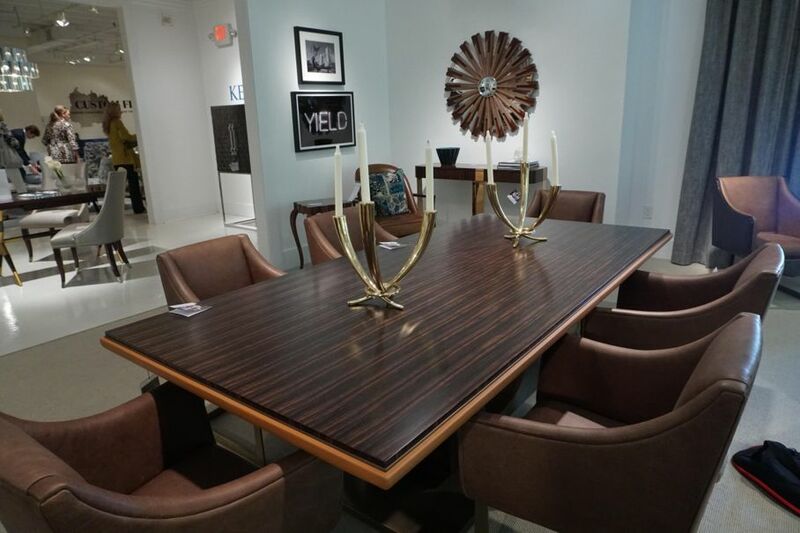 When Leigh and Leslie met with the CEO of Theodore Alexander eight years ago at High Point Market, they had little idea they’d soon be tackling a new project as furniture designers. But, as anyone can see after just a minute or two of conversation with the Keno brothers, they know what they’re doing! When asked for a few design sketches, the siblings came back with a surprisingly contemporary array of chairs, tables, and consoles. From there, it all came together quite organically. 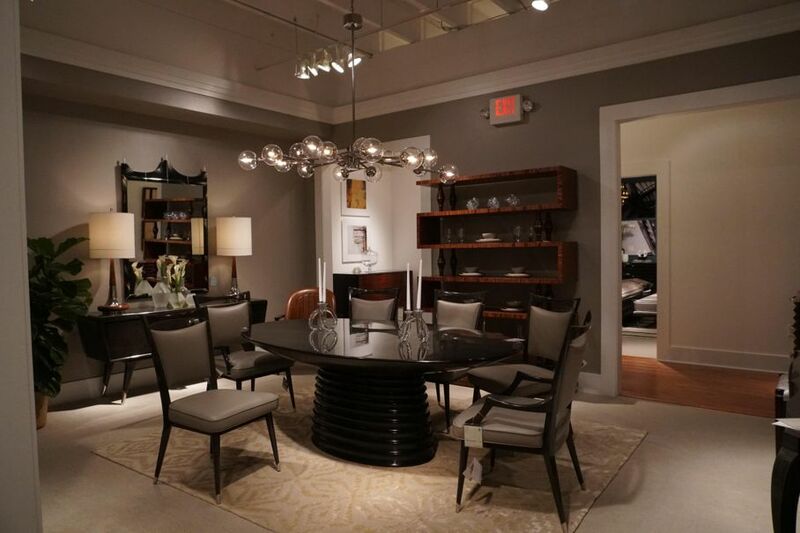 “They took our designs and began to make fantastic furniture,” Leslie tells us. Easy peasy! After quickly browsing their current offerings, there’s no doubt where their inspiration is coming from. 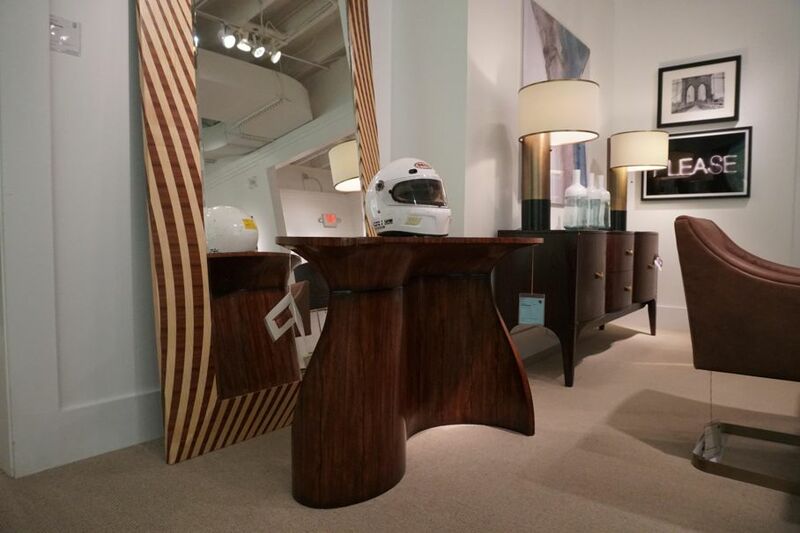 Nature is a prominent theme, and there are also strong curves throughout the collection. Because of this, you’ll see the S-curve is integrated into almost all of their work. 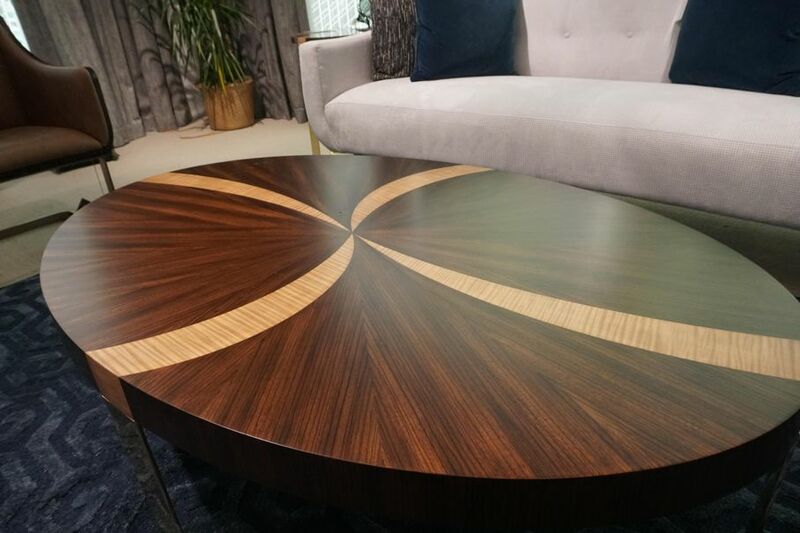 There’s no piece with more of a prominent S-curve than The Raindrop table, which Leslie describes as “the beauty of nature on display.” This is still one of their favorite pieces to date, even though it’s one of the first ones they designed. Other geometric shapes like honeycombs and patterns are also featured in the Keno Bros. line. You’ll find them scattered among contrasting woods like rosewood and mahogany. If sustainability is important to you, don’t worry. Leigh and Leslie made sure of before partnering with Theodore Alexander that their products would not harm the environment. “All of the woods we use are sustainable and not endangered,” says Leigh. No matter what pieces you find in the Keno Bros. line, you’ll notice they are all made with the highest quality materials and craftsmanship. We know the guys have an appreciation for nature and, of course, the S-curve, but the word that best describes this entire line is “minimal,” and Leslie has a perfect explanation for this. Functionality is equally as important as well. In every piece they design, the brothers consider how they’d use it themselves. For example, they add USB plugs on bedframes and nightstands to help make the end-user’s life that much easier. The future for the Keno Bros. line is bright. They’re on the way to opening their 25th store in China and a slew of other brick and mortar locations across the rest of Asia. 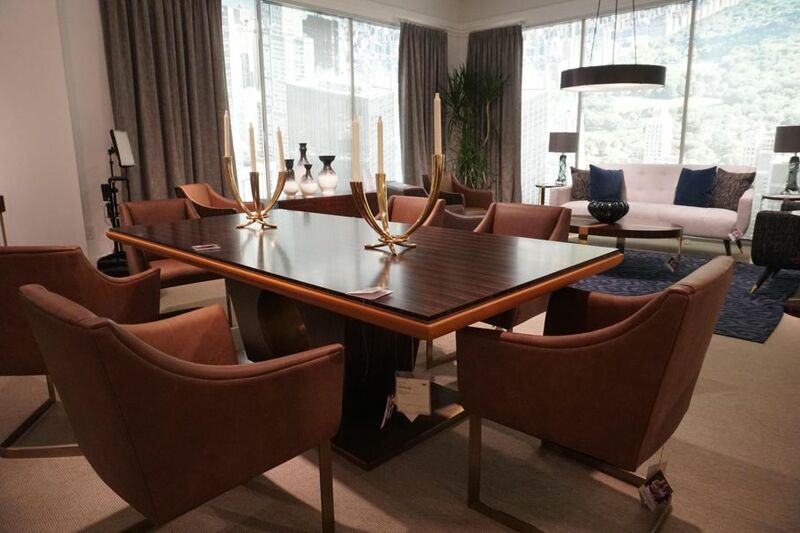 According to Leslie, furniture and home furnishing should be looked at as heirlooms. Put simply, avoid disposable furniture. Click here to shop the Keno Bros. collection.